Tanglewood Condo Listed 1616 Fountain View #503, a 2 bedroom, 2.5 bath condo in Houston, Texas - Tanglewood area. Executive Home in Tealwood Listed 12322 Tealwood North Dr, a 4/5 bedroom, 4 bath - Patio home in Houston, Texas - Tealwood North / Memorial area. Gated Home on Nantucket Listed 2525 Nantucket #3, a 3/4 bedroom, 3.5 bath in Houston, Texas - Tanglewood area. New Construction Garden Oaks Listed 528 32nd St, a never lived in 7 bedroom, 6.5bath, 3 car, in Houston, Texas - Garden Oaks area. Clear Lake High Rise Living Listed 4812 E NASA Parkway #22S in the Endeavor High Rise, Seabrook, Texas - Clear Lake area. Want To See A Listing?Click the link below to make an appointment to see/show one of my listings. River Oaks High Rise Sold a 3/2.5 executive high rise condo in the River Oaks Condos in Houston, Texas - River Oaks area. West University Executive Home Listed and sold 3602 Corondo Court, an executive 4/3.5/2 home in the West University area of Greater Houston. West University Bungalow Sold 2816 Rice Blvd., a 3/2/2 executive home in the West University area of greater Houston. West University Patio Home Sold 2704 Wroxton Rd., an executive 3/3.5/2 in the West University area of greater Houston..
Rice Military Patio HomeSold 518 Ashbury St., a 3/3.5/2 town home in the Rice Military area of greater Houston. Rice Military Town Home Listed and Sold 412 Detering, a 3/3.5/2 townhome in the Rice Military area of greater Houston. University Area BungalowSold 2810 Isabella, a 3/2/2 executive home in the close in, near town East End of Houston. MidTown TownhomeListed and Sold 2104 Webster, a 3/3.5/2 townhome in the close in, MidTown East End of Houston. Woodland Acreage HomeListed and Sold 206 Tranquil Path Dr., The Woodlands, Grogens Mill, a 5/5.5/3 executive home on 3.5 acres in The Woodlands, TX. Spring Cypress Executive HomeListed and Sold 6719 Spring Cypress Rd, a 4/4.5/3 executive home on 4 acres in Cypress, TX..
Montrose Patio HomeSold 1211 Welch St., a 3/4.5/2 townhome in the Montrose area of greater Houston. In the changing world of real estate, the search for opportunity demands expertise and insight. 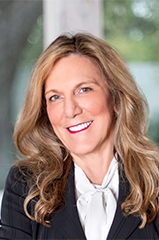 Peggie Pentecost, as a sales agent for Martha Turner Sotheby's International Realty, provides over 30 years of real estate knowledge locally, nationally and internationally. Peggie has been giving exceptional service to her clients for over 3 decades by providing expert opinions and assistance to not only area residents, but many out-of-state and International Xpat relocating clients as well! She has a broad-based knowledge of Houston, having lived here in a near town neighborhood raising her own now adult daughter, and married to her Houston native husband for as many years!. She has closed transactions in and around the Houston metropolitan area including River Oaks, Tanglewood, Memorial, West University, Southside Place and nearly all of Harris, Montgomery and Ft. Bend counties! Her practice of providing no non-sense advice and attention to the details has won her the repeat and referral business of her client base and her affiliation with the Women's Council of Realtors Texas as a state officer adding to her already very credible reputation in the industry! Would you like a FREE Market Analysis? Click Here or click the FREE button below. The Texas Real Estate Commission Information About Brokerage Services.